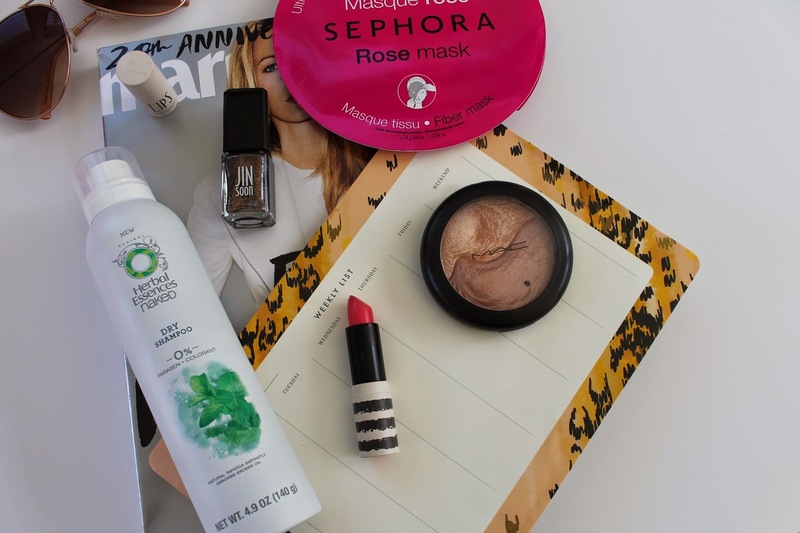 Sephora Rose Mask – I tried this out and I am love with it. My face felt extra hydrated afterwards. I need to pick up more! Herbal Essences Naked Dry Shampoo – I was in the market for a new dry shampoo and saw this one. It really helps me with day two hair. It gets rid of any grease and smells pretty good too. MAC Definitley Defined – Unfortunately this was limited edition but, if it every comes around again you need to pick this up. This is my go to highlighter. I use it everyday. It is a powder product but, it feels more like a cream. Top Shop Macaroon Lipstick – I recently picked this up and I feel in love with it. It is such a beautiful coral pink. JinSoon Farrago – I never tired this brand before but, I saw this shade in Sephora and I knew I had to have it. It is a gorgeous purple with some silver duo chrome. It looks amazing on the nails. What are your Friday Five ?? ?